Eve Plumb, actress and artist, has been working in television, movies, and stage since the age of six, and has been painting steadily for the last 20 years. 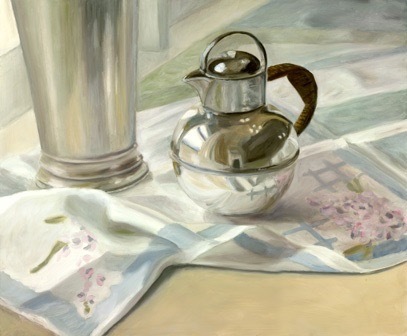 Self taught, Plumb has been focusing on still life for her subject matter, painting objects or moments from her everyday life and travels. Eve works out of her home and studio in New York City. Yes, she is best known for her role as “Jan” on “The Brady Bunch”. “Painting is a creative outlet for me when I’m not acting. It gives me a feeling of control over my creative life. 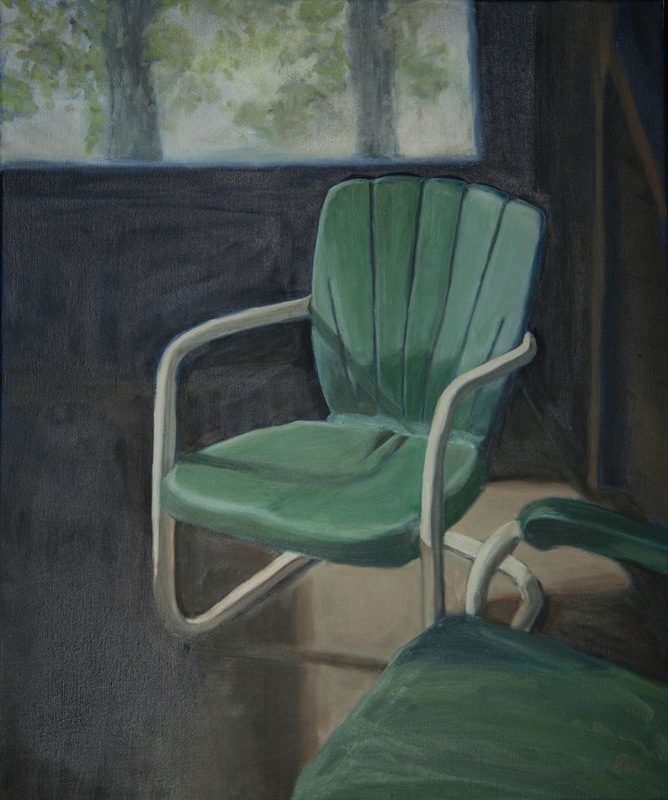 An actor often has to wait for projects to come along, but I can paint any time of the day. I sometimes describe my art as ‘spontaneous still life’. Whenever I see a likely subject, everything stops and I take photographs. This holds the moment in time until I can paint it.” I've always loved to paint and draw. For many years I was frustrated by my inability to create what I wanted to see. I worked in watercolors and acrylics for many years, and managed to make a few acrylic paintings I liked well enough to hang on the wall. I kept at it, trying new techniques and talking to other artists I knew. I also tried a paint called casein, which is a milk based paint that allows you to re wet and re work it. I had tried oil, but hadn't had any luck. But I decided to try it again, and this time was able to make a painting I liked. I had no idea how to use it, and in reading books came away with the idea that it's up to you to decide how to use the paint, a medium, like linseed oil, and turpentine. I studied more and became comfortable with the process. Also at this time I was exploring subject matter. I started by using photos from books, and then did a series of paintings that were from 1950's magazines. I love graphic art and magazine ads from the past, and was also collecting vintage items. I started taking my own photographs and getting more confident with composition. I was painting a lot of different subject matter- dogs, old family photos, architecture. I decided to focus on small intimate moments from my own life. I started noticing when sunlight hit items in the house in an interesting way and photographing them. My husband and I like to collect things, mainly vintage styled objects like pitchers, creamers, bowls, cups and saucers. I like photographing these vintage items we have around the house, such as coffee cups, and have branched out to restaurant scenes. 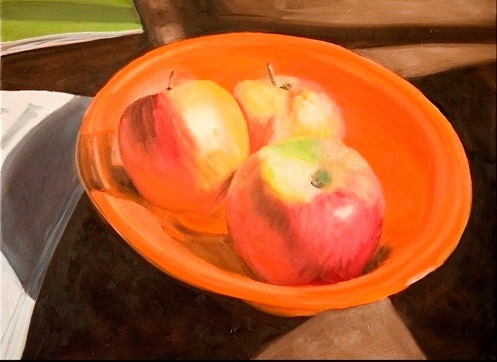 I prefer to leave the objects arranged as I come upon them and paint them as I see them. It gives the painting a more casual, spontaneous look. My husband and I travel a lot, so I'm always keeping an eye out for composition, color, and shadow. When working from the photos I don't necessarily want to re create it exactly, but look for ways to add color to represent mood. Eve has donated many works to charities including the Wildhorse Ranch Rescue in Arizona, The Laguna Beach College of Art & Design Collector’s Choice annual fundraiser, Friendship Shelter Laguna Beach, Laguna Beach Art Museum Auction One Hundred, and Broadway Cares/Equity Fights Aids.